So I thought I would spruce up the blog a bit. With the help of Kim of course. The family was here and gone and it was so good to have our son here for 4 days before Christmas and then all of them after. Since I showed Hubby and I and our two children I will show how big our grandchildren have gotten. Course they aren't children anymore. As you can see they are almost all the same size. This is the way we used to line them up when we went to beach when they were little. The two boys on the left are only two days apart with the smallest one the oldest. He and the girl in the green next to him are my son's children. The other four are my daughter's. They range in age from 22 to 14. All three girls are in college. They look a little stiff here but what more can you expect. The girls did the dishes and all had lots to eat. My son slept in the basement on my daughter's bed and drug out another quilt to keep warm. I liked it so much on this old bed that I'm leaving it there. I don't think I had showed it before. This was a top that the quilt group had made and everyone that made a block got their name in the pot. They picked a winner which was me. That was about 1995. It is a difficult block as you can see in these next two closeups. this is a closeup of the block. See how the colors are arranged. ? Was hard to get all the blocks correct. One was not but it's in the quilt anyway. You can see how I quilted it.. m Also in the second picture how different the blocks are. Finally I think I have the pictures right thanks to Kim. It seems that I wasn't able to move the pictures around like they should have been. It all froze up on me. Next time I'm going to move the pictures first and then do the writing. Live and learn and this is an ongoing learning job. Just a personal note to Anne in Texas. Thanks for the picture Christmas card. It's been neat learning to know your Mom and her blog. I know that a number of my relatives so is a good way to keep in touch. My son and family got home last night so the kids are all back and hopefully have a little time to relax before going back to work. Happy New Year, Eilee! The quilt is beautiful! I love the way you quilted it. Sets it off perfectly. Ooops! I could at least spell your name correctly, Eileen! I really thought one boy was YGeo and one girl was Ro! Looks/sounds like you had a wonderful time with family! I love the quilt on that bed. So pretty with such bright colors! Hope you have a Happy New Year! What lovely looking grandchildren you have - aren't you getting so good at adding your own photos to your post- Well done! I loved your quilt- it is a very pretty pattern - it must have been fun to do as a group - As always you have quilted it beautifully. Have a lovely New Years with your hubby. wonderful quilt and perfectly quilted. looks so yummy to cuddle up in. No wonder he chose it! have a happy healthy New Year for you and hubby. 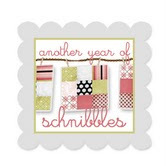 Eileen, Happy New Year to you and your family! Your grandchildren all look like great, young people! And that quilt is stunning! Someday I hope to quilt even half as good as you! Your new blog background is so cute, too! Your grand babies are wonderful! Not babies anymore, though. 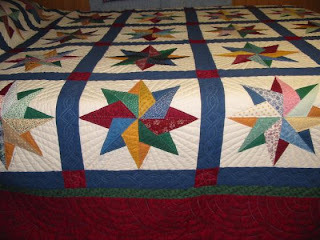 I really like your quilt, so very pretty with all it's quilting. Hope you have a wonderful New Year! Hi Aunt Eileen! I'm so glad you enjoyed the card. 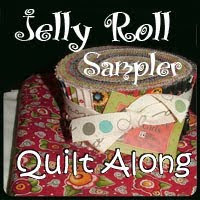 I enjoy your pictures of quilts and your blog - keep up the great work.